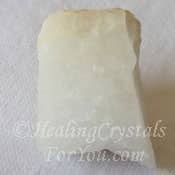 These crystals are attuned to the vibration of the higher spiritual realms and they will help you to make a stronger connection to the beings there. 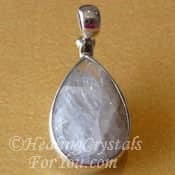 They are an excellent crystal to keep nearby as they continuously receive spiritual vibrations. They regulate and attune these spiritual vibrations to the energy of those who are nearby and receiving it. You receive it at the level required for your personal growth and healing, without it impacting you in a way that may be uncomfortable. The actual meaning of the word elestial, relates to the base word it comes from, celestial (by dropping the C) to make the new word elestial. The prefix which begins the word is 'el' meaning 'above the horizon' which relates strongly to the meaning of the word celestial, which is related to spirituality, heavenly beings and the Divine. 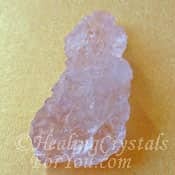 Angelic beings are known to be part of the celestial realm, and elestial quartz has a strong energy to contact celestial beings, and in particular the angels. Elestials are also known as Skeletal Quartz, Alligator Quartz or Jacare Quartz Crystal, the last because Jacare means Alligator in Portuguese. This is because the reptilian type of pattern in the configuration of these stones is said to have a similarity to the skin of an alligator. These unusual crystals are one of the varieties of quartz, and may be found in quite a few colors including known as Amethyst Cacoxenite, a stone from Brazil that is a mix of seven minerals. The most common colors are clear, pale pink Rose Quartz, lavender or purplish Amethyst Crystals, yellow like natural Citrine and Smokey colored, like Smoky Quartz . 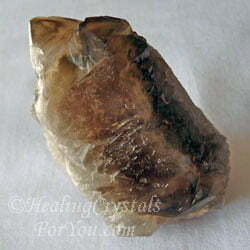 Smoky Elestial quartz are easily obtained and have some different metaphysical properties. While many Elestials come from Brazil, there are also some specimens that originate from Romania, Madagascar, Africa and the USA. 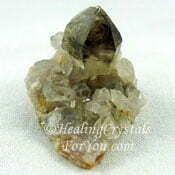 Why Would You Use Elestial Quartz? Both the lovely Amethyst Elestial in the picture above and the Rose Quartz Elestial shown below came from Exquisite Crystals. 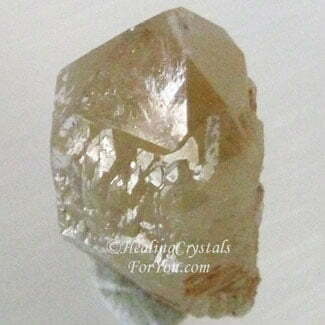 Exquisite Crystals, my most trusted source for buying crystals has beautiful Elestial Quartz. These are a stone for our times, as they aid attunement with the higher vibrations and open doorways to higher dimensions. 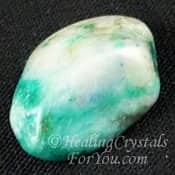 They are an amazing stone to aid change in your life, and provide a stronger connection to spirit and to the angelic realms. 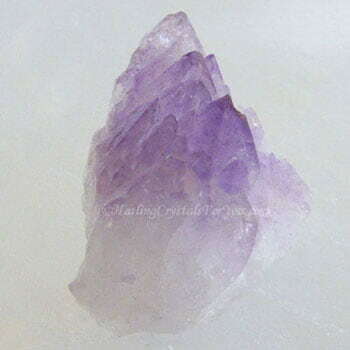 Elestial Quartz crystals are admirable crystals to have near you as they continuously bring in waves of pure spiritual energy, which they regulate and attune to the vibration of those who are nearby and receiving it. This allows you to receive an infusion of love and light at a comfortable frequency, at the level that you need for your personal growth and healing. The Divine beings, including angels in the higher realms know what you require. These lovely crystals are an excellent conduit to bring you love and light, at the right time and in the right way for your personal growth. Using one of these stones is known to be one of the helpful methods to relieve stress. 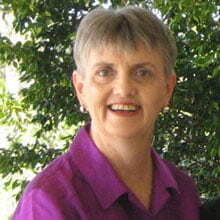 They will help you to heal from a variety of problems, including epilepsy and schizophrenia. 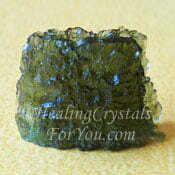 There are a number of other healing attributes that are associated with these interesting healing crystals. They are excellent for bone related problems and are especially helpful following bone surgery as they can aid broken bones to heal. What Is It? Who Should Use It? 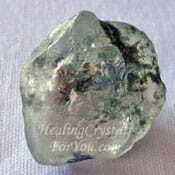 Elestial Quartz crystals are a particular type of quartz that have natural terminations on the body and faces of the stones. These are often etched into the crystals, and many have key formations on a face of the crystal, an indented area going into the crystal. 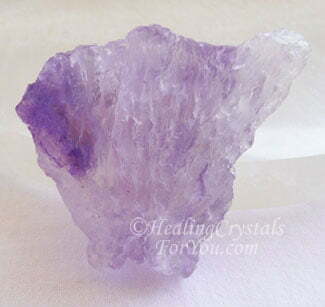 They form in layers that resemble clusters, but the crystals overlap and join together. These quartz crystals have a high vibration that helps you to make a stronger connection to spirit. These are powerful stones to use in meditation, as they will help you to open stronger connections to the spirit world. They are known to open the crown chakra and then in turn open the soul star chakra and higher crown chakras. 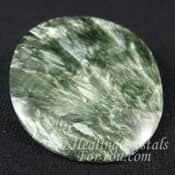 This assists the flow of Divine energy to move down throughout your entire chakra system, and they are powerful stones to create major changes in your life. 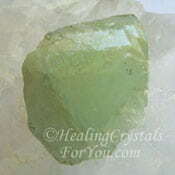 Their energy may also stimulate the third eye chakra and this may intensify the birth of psychic gifts. This includes clairvoyance, which is also known as psychic visions. It also boosts clairaudience, also known as psychic hearing and clairsentience, which can be described as feeling psychically. 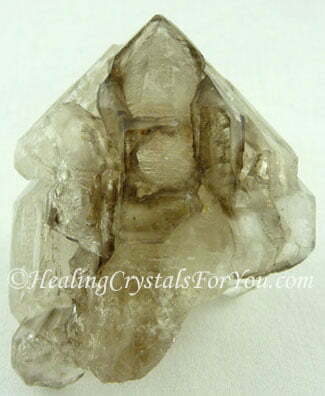 Smoky Elestial Quartz ... How Will It Help You? 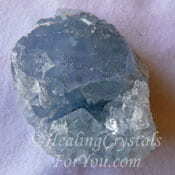 The Smoky Elestial crystals offer some extra attributes that other elestials do not. Because they are a combination of elestial quartz and Smoky Quartz, they embody both energies to bring a new energy that is different to other elestials. 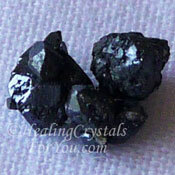 The Smokey Elestials are excellent healing crystals. 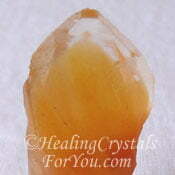 They have a potent vibration for creating healing, specifically aiding spiritual healing within the etheric body. 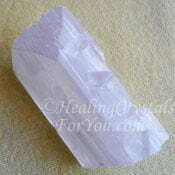 These specific quartz formations are helpful to aid sleep problems, and may help to prevent nightmares. 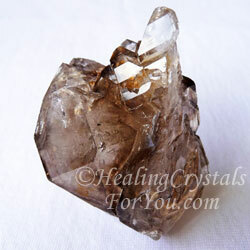 If you have a painful area in your body, place the elestial quartz crystal on the spot and allow it to aid the pain. 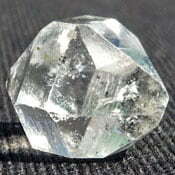 They are also known to have a particularly strong resonance at the base or root chakra and earth star chakra. ka newThis creates a powerful action of grounding of the higher frequency vibrations down to the earth. Use this crystal in your meditation to aid you to journey back into past lives to release karma that is trapped in your energy field. This energy may need to be released to free you from past experiences. It may also dissolve ancient magical ritual energy within your ancestral line, that is still stopping you from being able to let go of past trauma and pain. 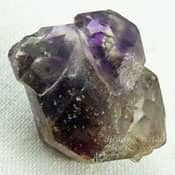 The energy of elestial quartz may also release any type of karmic group energy that is holding soul groups together, and preventing them from moving on in new directions. 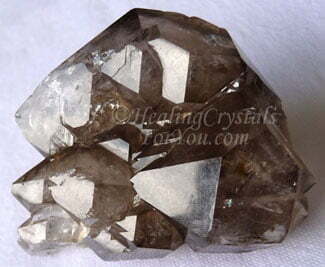 Smoky elestial quartz crystals have a number of excellent metaphysical properties, including the capacity to protect you from psychic attack. 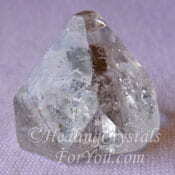 Regardless of what color your elestial quartz is, they are all excellent stones to use in meditation. One way that you may choose to use your elestial is to hold it in your hand during meditation. 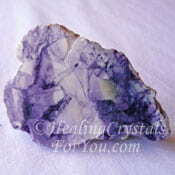 Doing a meditation using crystals with these crystals, is helpful in a number of ways. Start by holding the crystal in your hand and allow yourself to relax completely, as you slip deeply into a state of focused relaxation. 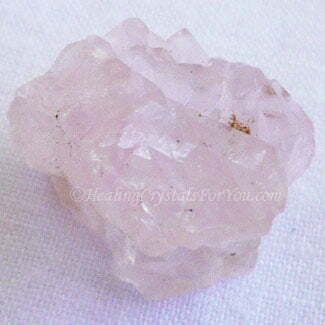 Once you have let go of all normal thought, and are aware of a profound state of relaxed inner awareness, bring your attention to the elestial quartz crystal that you are holding. These crystals have easily felt ridges and layers, which you can softly and gently stroke as you run your fingers over them. If you feel a reason to stop at some specific area of the stone do so, and press gently on the stone where your finger stops. 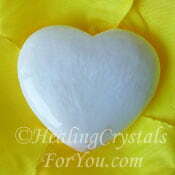 Relax and allow the information that the stone is bringing to you from spirit to flow into your mind. It is common to find that you may begin to connect to angels. As you begin to allow the frequency of the energy you are connecting with to take you higher, you may hear sounds coming through from the angelic realm. The angelic sounds of the 'music of the spheres' is commonly accompanied by a strong energy of love. Allow this energy to fill your heart chakra and then your entire being with blissful feelings of joy and happiness and aid emotional healing. This wonderful connection with angelic beings may aid you to release tension, anxiety and depression as well helping you to release negativity and stress. An angelic connection may not happen the first time you use it, but these crystals will aid you to relax. "An angel can illuminate the thought and mind of man by strengthening the power of vision." St Thomas Aquinas. 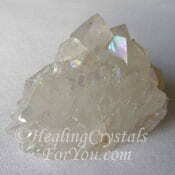 It is now easy to buy Elestial Quartz, including the lovely Rose Quartz Elestial Crystals. If you are using a Rose Pink elestial, combine it with heart chakra or thymus or higher heart chakra stones, as it will calm and soothe you and bring through amazing heart based spiritual growth. 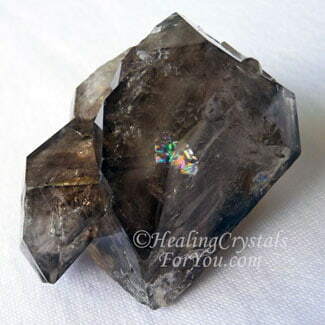 Elestial quartz crystals will amplify the energy of other stones, so use this crystal to aid healing by combining it with specific stones that aid your health issue. 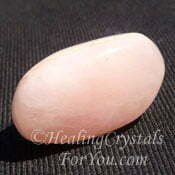 High vibration heart based stones such as Pink Danburite and Pink Petalite or Green stones like Moldavite or Green Datolite, are examples of heart based high vibration stones that you may choose to use with it. 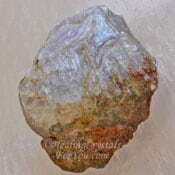 It is helpful to combine it with rare stones where the specimens may be tiny, as it will boost their energy. High crystal energy stones like Herderite, Natrolite, Diaspore, Phenacite or Brookite are some of the high vibration stones that may be smaller specimens that might benefit by being boosted by the energy of elestials. 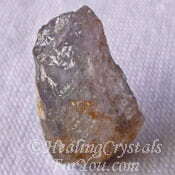 It is beneficial to use it with any of the other high crystal energy stones to aid spiritual growth. It is powerful to use with high vibration stones as it will both amplify the energy, and ground any excess energy to earth. Combine it with crystals such as Nirvana Quartz, Herkimer Diamonds, Aurora Quartz, Scolecite, Apophyllite, Amethyst Cacoxenite also known as Super Seven or Tiffany Stone also called Bertrandite, to aid your spiritual growth. It also works well when combined with other quartz crystals, such as Rose Quartz, Smokey Quartz Crystals, Amethyst Crystals and Clear Quartz Crystals as they combine well with it and will help to lift the energy. Also to assist you to make contact with the angelic realm use it with Cryolite, Angelite, Angel Phantom Quartz, Angel Aura Quartz, Ajoite in Quartz, Celestite or Seraphinite.